The following is an excerpt from the February issue of National Geographic. 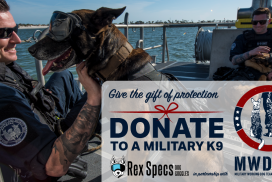 The full feature is available at nationalgeographic.com. 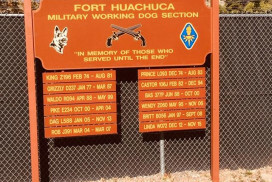 Brain trauma from blast force is the signature injury of the Iraq and Afghanistan campaigns, afflicting hundreds of thousands of U.S. combat personnel. 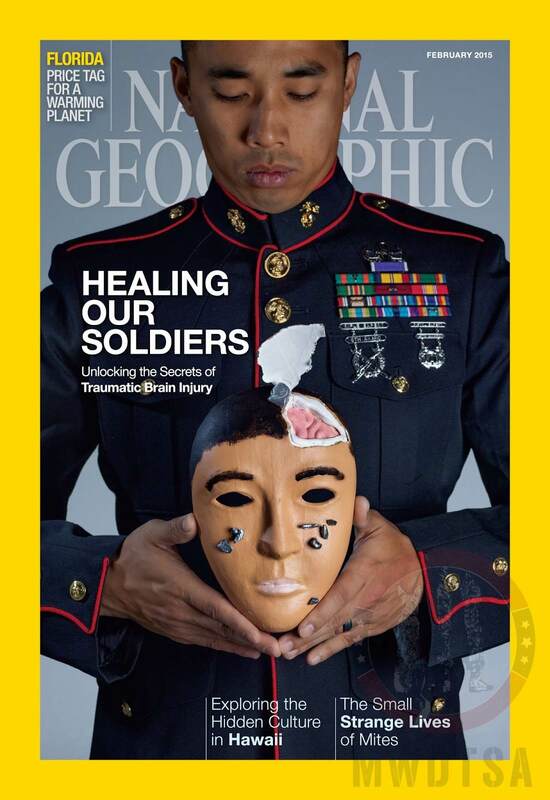 Although unseen, the damage strikes deeply into a soldier’s mind and psyche. 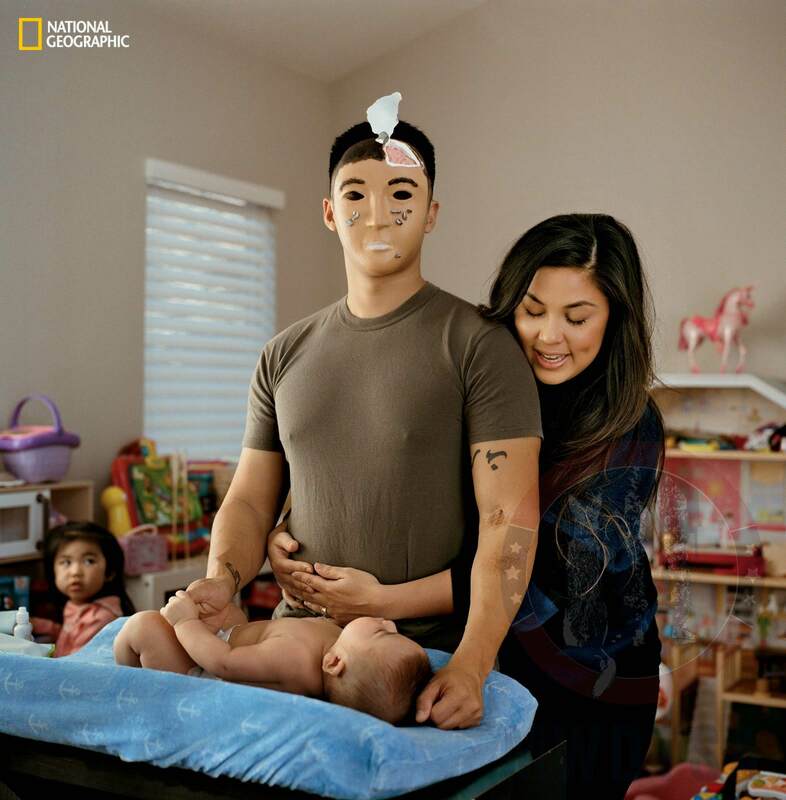 All images are from the February issue of National Geographic magazine. 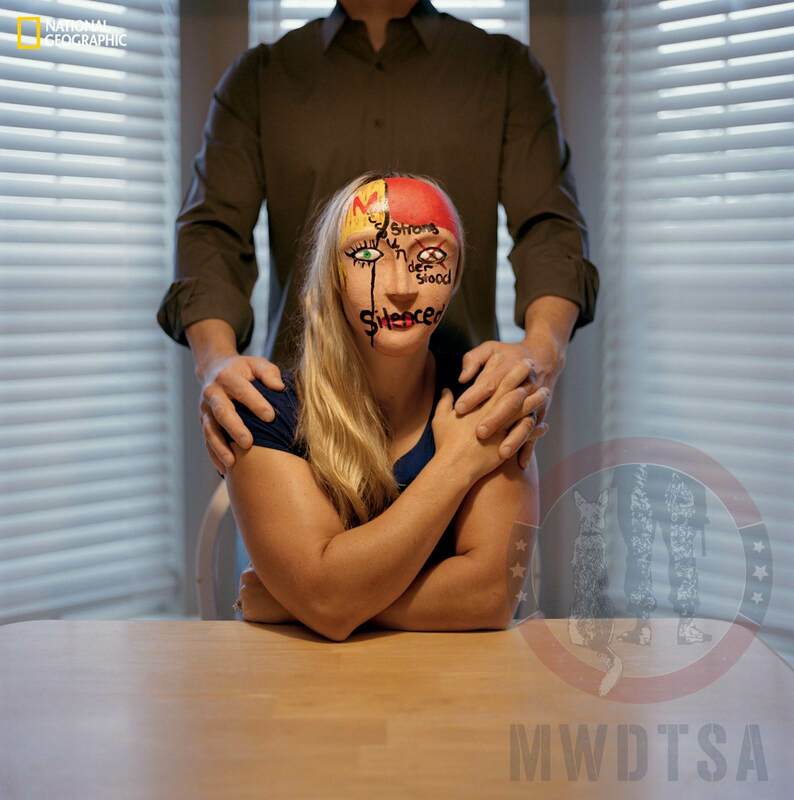 MWDTSA watermark is applied to prevent unauthorized photo redistribution. 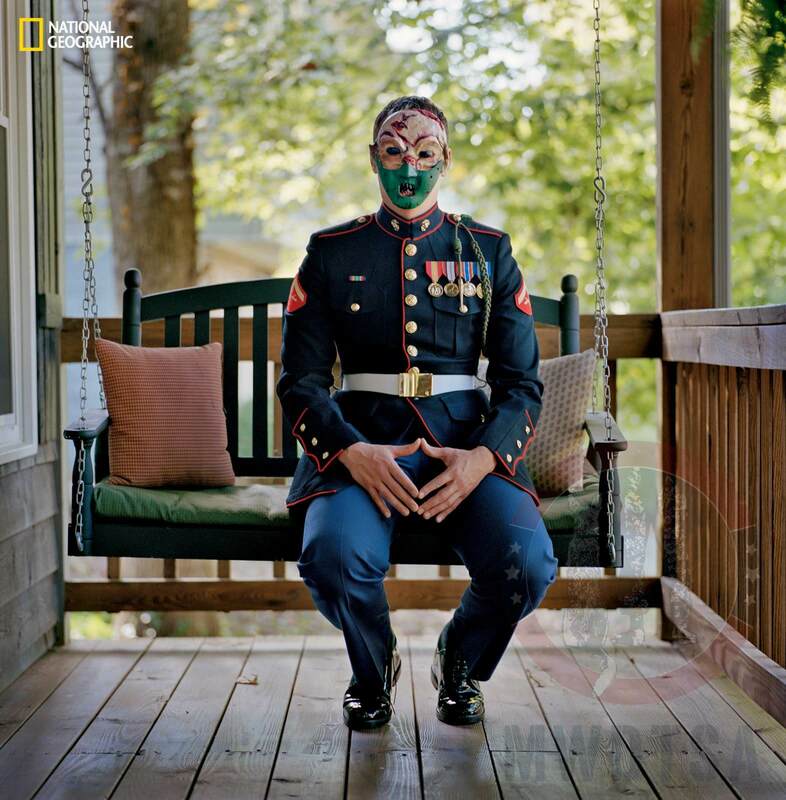 Impeccable in his Marine uniform and outwardly composed, McNair sits on the porch of his parents’ home in Virginia, anonymous behind a mask he made in an art therapy session. 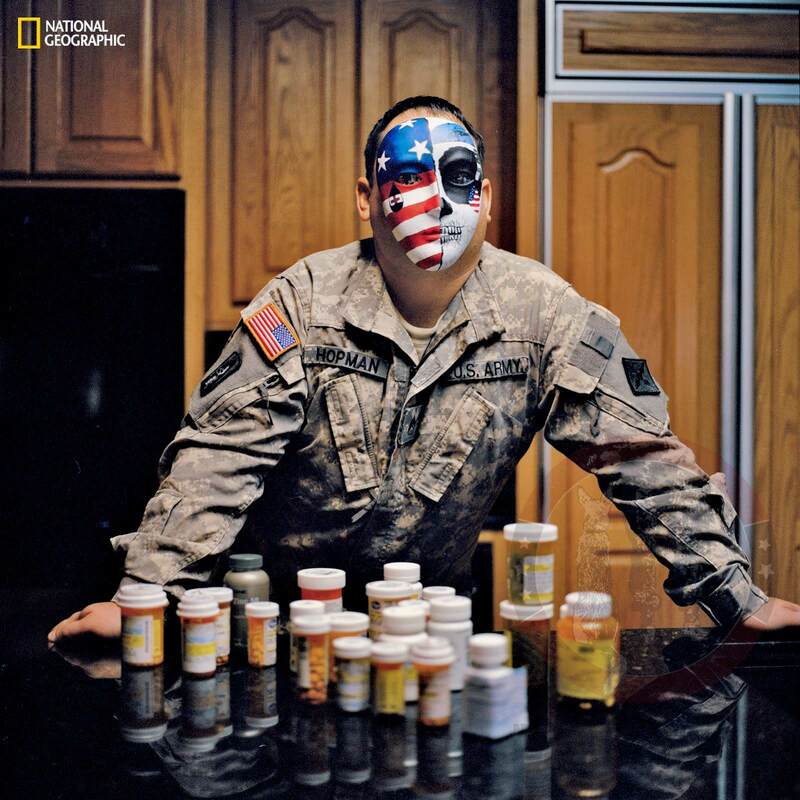 Wearing his mask—half patriotic, half death’s-head—Hopman confronts the battery of medications he takes daily for blast-force injuries he sustained while treating soldiers as a flight medic. 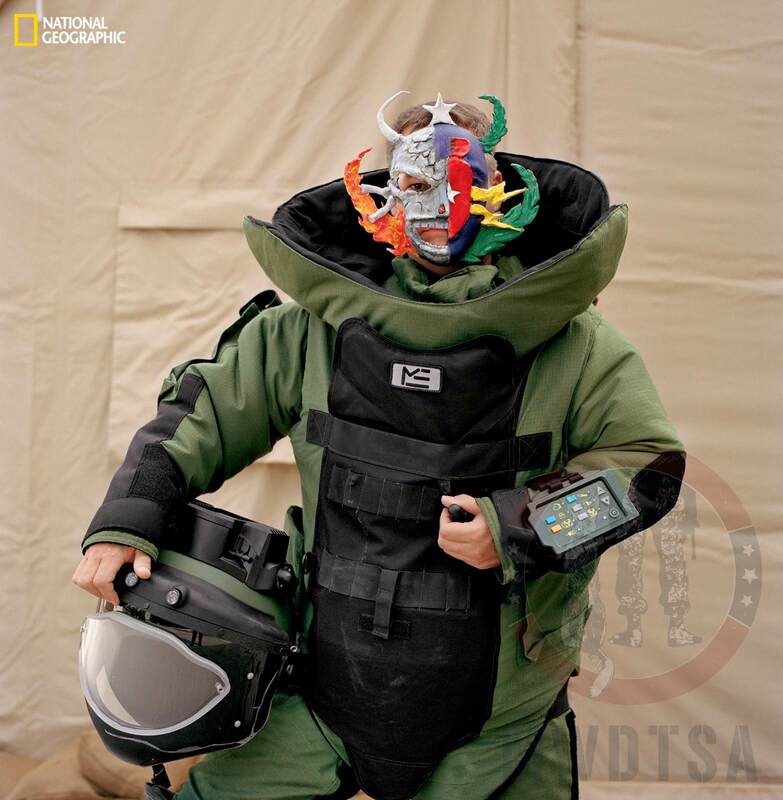 Marine Gunnery Sgt. Tiffany H.